Seed juice can be made only in a few juicers - dual gear juicers are the best for this. Seeds contain important cell-revitalizing substances and to get these the best way is to juice them. Seed juice renews and maintains the elasticity of veins, increases stamina, and is widely known to be effective in preventing and treating modern adult diseases. Before juicing you should wash the seeds with water. Very important is to put only small amounts at a time into the juicer. IMPORTANT!!! Slowly put in a 5:1 ratio of water to seeds (5 tbsp water : 1 tbsp seeds). You can mix the remaining pulp with water and juice it again. A good idea is to add honey to your seed juice. This Chinese fruit helps to heal cough, cold, gastric ulcers and strengthens the immune system. It’s an important source of vitamin C and minerals such as potassium, phosphorus, magnesium, sodium, and iron. You can also use the peel of litchi to prepare tea, which helps to fight smallpox and diarrhea. Mango is a very important and rich source of antioxidants, vitamins C and E, and beta-carotene. We recommend eating mangowhen you're sick. It strengthens the entire body. It helps to maintain a healthy color of skin and prevents acne. Mango also refreshes the quality and color of your hair. Celery is suitable for weight reduction diets thanks to its high content of water and low amount of calories. There is a lot of vitamin C and B, fiber, minerals, and many other beneficial substances. Some say that it has an aphrodisiac effect. Celery also helps you to get rid of extra water in your body, supports kidneys, and helps with healing rheumatism and arthritis. It also has anti-inflammatory effects and fights insomnia, migraine, and stress. Watercress is an important source of vitamin C, B1, beta-carotene, and antioxidants, all of which supports the immune system. 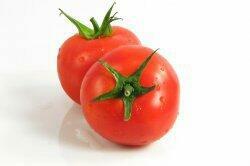 It has also plenty of vitamin K which is crucial for blood clotting and strengthening bones. Watercress is beneficial for the urinary tract and kidneys, helps with coughs, supports production of enzymes in the stomach, and lowers the level of sugar in blood. In the past it was recommended for problems with skin or as a disinfectant. Thanks to proanthocyanidins, cranberries are the most famous cure against urinary inflammation. It’s been proven that they are a natural antibiotic. Cranberries fight bacteria in your mouth and stomach. They help to heal stomach, liver, ovary, prostate, and breast cancer. Blackberries have a high content of vitamins (mainly vitamin C), minerals, and bioflavonoids – these substances protect against oxidation, strengthen and regenerate veins, improve blood circulation, and in general slow the aging process. Blackberries are also rich in carotenes and antioxidants. We recommend consuming them when you have cold, flu, angina, and inflammatory diseases. They are one of the best natural sources of antioxidants and tannins. Blueberries contain a lot of iron, strengthen your immunity system, improve eyesight, help with gastric problems, clean kidneys and urinal tract and help to get rid of redundant water in body. Blackberries literally recharge you with energy. They are natural cure against eyesight problems. Raspberries are a diuretic and support the formation of the gall bladder. Small pits inside of them positively affect bowel peristalsis. Raspberries are full of biotin, which called the vitamin of beauty. They also help to lower the level of cholesterol, reduce blood pressure and blood sugar levels, stop bleeding, and protect against catching cold. Rhubarb has a high content of oxalic acid, which gets slightly toxic after boiling. That’s why you should eat it raw and combine rhubarb with other ingredients. There is a plenty of vitamin B which is very beneficial for circulation and formation of blood. Rhubarb also improves the quality of skin and hair, strengthens the central nervous system, and burns fats. It also has a high mineral content – mainly potassium and manganese, which helps to get rid of extra water in your body. Green peas contain a lot of lecithin, which drains cholesterol and unhealthy fats out of your body. Therefore they support your liver and improve the quality of skin. Green peas have a lot of vitamin A and C, proteins, fiber, carbohydrates, and minerals – mainly potassium, which is very important for the proper functioning of nerves, muscles and heart. Asparagus supports the overall cleaning of your body. It helps with rheumatism. It stimulates formation of blood and maintains a healthy cardiovascular system and heart. It’s often used as aphrodisiac. It also influences your beauty – healthy and shiny hair, clean and flexible skin, and strong nails. Asparagus is a great choice for losing some weight - it has a very low amount of calories. Gooseberries have a high content of vitamins, minerals and pectin. They are very low in calories and have a high concentration of water. Gooseberries help keep the bowels clear, reduces high blood pressure, cleans the body, improves digestion, strengthens veins, and supports healthy skin and hair. Consumption of kohlrabi is very beneficial. It contains a lot of vitamin C, antioxidants, and important minerals. Kohlrabi has a very low amount of calories. 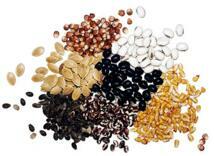 On the other hand it contains a lot of fiber, which helps to lower the level of cholesterol in your blood. Kohlrabi is helpful for weight loss, protects against cancer, supports production of bile in the gall bladder, and improves eyesight. Sea Buckthorn’s fruit contain 25 times more vitamin C than citruses. It stimulates digestion, strengthens the immune system, heals gastric ulcers, and drains harmful substances out of your body. We recommend using sea buckthorn while having flu, angina, sore throat, and headache. Zucchini contains a lot of water, fiber, protein, and plenty of vitamins. There are a lot of beneficial substances hidden in the zucchini’s peel, which help to detoxify your body. This vegetable also regulates amount of water within your body and supports digestion. That’s why zucchini is great for vegetarians. Parsley is one of the healthiest vegetables. It contains flavonoids which are highly detoxifying, vitamin C, potassium, calcium, and magnesium. Parsley is a great source of folic acid, helps to clean your blood and regenerates body cells. Turnip contains 90 % water, is low in calories, has almost no fat, and is high in fiber. It's a great vegetable for weight loss, because of the low calories combined with the full feeling it gives. Turnip cleans your blood thanks to many vitamins, minerals, and calcium, and helps people suffering from gout and rheumatism. Grapes contain beneficial sugars which provides your heart with lots of energy. They protect arteries and veins and help lower blood pressure. Grapes also effectively protect against cancer and are very rich in vitamin B. They improve the immune system, help against depressions, clear bowel congestion, and detoxify your body. Avocado is an important source of organic fat, which makes up 20% of its content. It’s appropriate for breastfeeding mothers and vegetarians thanks to its huge amount of proteins. It also contains vitamins B, C, and E, carotenes, and antioxidants, which help you to get rid of toxins and regenerate body cells. Moreover, avocado has a lot of minerals such as copper and potassium. Pomegranates are a delicious juicy fruit full of vitamins A, B, C, and E, minerals, and antioxidants. Pomegranates help against inflammatory diseases and diarrhea. They also lower production of gastric acids, improve absorption of iron, slow down artery aging, protect against heart attac,k and help with getting rid of metabolic waste. Cucumbers contain more than 95% water and a lot of fiber. They are the most alkaline vegetable, which prevent hyperacidity of your stomach. Cucumbers also help to drain pollutants out of the body, keep the skin moist, and provide the body with sulphur and potassium, which are beneficial for hair and nails. Cucumbers are very low in calories and help you to feel full. Plums contain vitamin E, minerals, tannin, and organic acids. They strengthen your heart and veins and lower the level of cholesterol. Plums increase stress resistance, optimize metabolism, and are helpful in weight loss. They are an effective cure for gout, rheumatism, kidney and liver disorders, and blood circulation problems. Plums also clean the bowels and help with congestion. Thanks to a high content of iron, beta-carotene, vitamins A and B, and plenty of minerals, spinach effectively protects your health. It fights free radicals, drains pollutants out of the body, and helps with many lifestyle diseases. Moreover it improves your eyesight, supports the development of the fetus during pregnancy, strengthens your heart and veins, and improves the quality of nails, skin, and hair. It also effectively fights insomnia. It’s full of vitamins and minerals. Pumpkin contains a lot of water, fiber, and very few calories. It helps with pancreas, spleen, and heart disorders. It helps fight cancer and supports the kidneys. Pumpkin also regenerates body cells, which can keep you feeling and looking younger. Brussel sprouts lower stress and help you to focus. They strengthen the immune system and help with healing ulcers. They drain excess water out of your body, which supports detoxification. 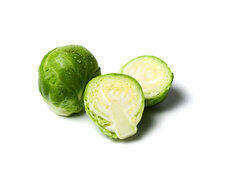 Brussel sprouts are also beneficial for digestion by preventing bowel obstructions. Thanks to a high level of antioxidants, they help to fight cancer. It contains a huge amount of vitamins, namely C, B, E, beta-carotene, fytoncid acids which have antibiotic effects, and many other minerals. Consumption of black radish helps you to prevent insomnia and head aches. It also heals asthma, arthritis, eczema, inflammatory diseases, and runny nose. Black radish supports digestion and metabolism. They are famous for having a very high content of vitamin C. Due to its pectin, currants help your veins to be stronger. They prevent against having problems with varicose veins, high blood pressure, and hemorrhoids. The combination of all the beneficial substances in currants helps to improve your mood, improves the quality of hair and skin, protects eyesight, and strengthens the immune system. Currants also effectively fight cold, flu, and angina. Regular drinking of fresh currant juice is a great way how to prevent cancer and support your kidneys. Like all green plants that contain chlorophyl, wheatgrass is high in oxygen. The brain and all body tissues function at an optimal level in a highly-oxygenated environment. Chlorophyll is anti-bacterial and can be used as a healing substance both inside and outside the body. Watermelon is high in lycopene, second only to tomatoes. Recent research suggests that lycopene, a powerful antioxidant, is effective in preventing some forms of cancer and cardiovascular disease. According to research, men who consumed a lycopene-rich diet were half as likely to suffer a heart attack as those who had little or no lycopene in their diets. Watermelon also contains a lot of fiber and water. It is a great fruit for dieters, since it fills you up very quickly and is relatively low in calories. Strawberries helps to maintain the structure of the skin. Vitamin C in strawberries also plays an important role in healing wounds and can ward off gingivitis, the gum disease that effects three out of four adults. Pineapple’s main benefits come from bromelain, an effective anti-inflammatory, making it exceptional good for joint problems. Rich in vitamin C, pineapple supports the immune system and defends against free radicals, which can cause premature ageing. An excellent source of manganese, important for antioxidant defense and energy production. Pears are a good source of vitamin C and copper. Both of these nutrients can be thought of as antioxidant nutrients that help protect cells in the body from oxygen-related damage due to free radicals. Pears helps to preserve a good function of our immune system. It helps whooping cough, flu and heart diseases. It protects and decreases the risk of paralysis. Kiwi fruits can stimulate intestine's movement, and improve constipation as well. Some studies also revealed that kiwi fruit can improve the quality of sleep. This is because kiwi fruit is high in calcium. It strengthens the immune system. It is a good source of vitamin C along with lemon and other fruits. It helps to prevent formation of cancer cells and tumors. It helps in digestion of nutrients. Grapefruit is good for cough and flue since it is rich in vitamin C. It also decreases the level of cholesterol in blood and protects gingival bleedings. It is used in treatment of hemorrhoids and some cancer types like skin cancer. It is suggested for asthma and diabetes patients. Figs are also good for nausea, headache, fevers and whooping cough. Good storage for minerals and vitamins. It contains vitamin A and vitamin C, Melatonin, anthocyanins and bioflavonoids. It help to fight cancer types. It helps to relieve pain, especially headaches, improves mental functions and reduces the risk of heart attack. Celery contains vitamin C and several other active compounds that promote health, including phalides, which may help lower cholesterol, and coumarins, that may be useful in cancer prevention. Carrots' antioxidant compounds help protect against cardiovascular disease and cancer and also promote good vision, especially night vision. Like other cruciferous vegetables, broccoli contains the phytonutrients sulforaphane and the indoles, which have significant anti-cancer effects. Research on indole-3-carbinol shows this compound helps deactivate a potent estrogen metabolite (4-hydroxyestrone) that promotes tumor growth, especially in estrogen-sensitive breast cells, while at the same time increasing the level of 2-hydroxyestrone, a form of estrogen that can be cancer-protective. Indole-3-carbinol has been shown to suppress not only breast tumor cell growth, but also cancer cell metastasis (the movement of cancerous cells to other parts of the body). These colorful root vegetables contain powerful nutrient compounds that help protect against heart disease, birth defects and certain cancers, especially colon cancer. Containing the powerful antioxidant betacyanin, which gives beetroot its deep red hue, this vegetable purifies the blood and has anti-carcinogenic properties. Research shows it boosts the body’s natural defenses in the liver, regenerating immune cells. Also contains silica, vital for healthy skin, fingernails, ligaments, tendons and bones. Banana is good for heart and muscular system. It protects the feeling of exhaustion and diarrhea. It is a blood supply. It increases the flow of blood in both directions in vessels. 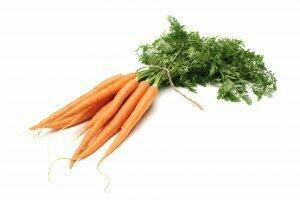 It protects the formation of cancer cells since it is a great source of Carotenoid. Apricots also help the growth of hair. Nutrients in apricots can help protect the heart and eyes, as well as provide the disease-fighting effects of fiber. It improves the functions of kidneys and eases kidney activities. Apple is also good for digestion problems. It is said „An apple a day keep the doctor away“.